One of Huffington Post's "18 Best Fiction Books of 2015"
In 1902, a radical vegetarian and nudist from Nuremberg named August Engelhardt set sail for what was then called the Bismarck Archipelago, in German New Guinea. His destination: the island Kabakon. His goal: to establish a colony based on worship of the sun and coconuts. His malnourished body was found on the beach on Kabakon in 1919; he was forty-three years old. Christian Kracht's Imperium uses the outlandish details of Engelhardt's life to craft a fable about the allure of extremism and its fundamental foolishness. Engelhardt is at once a pitiable, misunderstood outsider and a rigid ideologue, and his misguided notions of purity and his spiral into madness presage the horrors of the mid-twentieth century. Playing with the tropes of classic adventure tales such as Treasure Island and Robinson Crusoe, Kracht's novel, an international bestseller, is funny, bizarre, shocking, and poignant. His allusions are misleading, his historical time line is twisted, his narrator is unreliable--and the result is a novel that is a cabinet of mirrors, a maze pitted with trapdoors. Both a provocative satire and a serious meditation on the fragility and audacity of human activity, Imperium is impossible to categorize and utterly unlike anything you've read before. Christian Kracht is a Swiss novelist, journalist, and screenwriter. His previous books include Faserland, 1979, and I Will Be Here, in Sunshine and in Shadow. 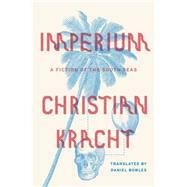 Imperium was the recipient of the 2012 Wilhelm Raabe literature prize. Daniel Bowles is a visiting assistant professor of German studies at Boston College. His previous translations include novels by Thomas Meinecke and short texts by Alexander Kluge and Rainald Goetz.